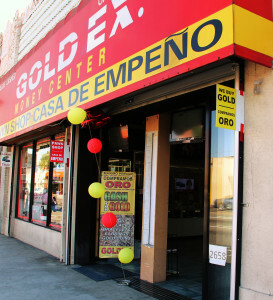 Gold Exchange Pawn Shop is located approximately 3 miles from the city of Lynwood, Ca. We are the largest Pawn Shop near Lynwood, CA that offers the community a variety of financial services. For your convenience we are opened 7 days from 9am – 7pm. Our pawn shop offers four month cash loans with low interest rates. No credit check required, and your property will be stored securely in our safes. We offer discount fee on loans that are redeemed before the maturity date. Our loans don’t require monthly payments. If you are unable to redeem your property by the maturity date, you have the option to extend your loan. Paying the interest fee will renew your loan for an additional 4 months. In order to pawn an item you must be 18 years of age with a valid form of identification. Our pawn shop near Lynwood is approximately 3 miles from Plaza Mexico, we are located off Long Beach Blvd and Florence Ave. I came from Downey they gave me good service. They had the best prices and customer service. I liked the guy with the pretty green eyes. My two sisters and I choose this company from a Google search. We wanted to sell some gold jewelry. They were polite and helpful. We would recommend them and use their services again. I love this place. Great costumer service. Employees are very friendly. I'm from bell gardens & Ive been coming to this pawn shop for 10 years. They always give the best price. I live in Downey and I’ve been coming here since 1996 . The staff is very professional!! The owner Ronny is a great person very helpful. Got a great deal on my IPhone 6. I recommend everyone to come here!!!! I got the best price in town for my gold chain. I'll most definitely come back in the near future. Great customer service. Was shopping around for a legit pawn place. This one had the most reviews so i came here. Their prices are fair and the customer service is good compared to the other shady looking ones. Overall cool spot! I like the dog aka mascot they have! I'm glad I chose this pawn shop, it's really nice. The parking is kinda difficult depending on the time you go. High end store I absolutely love this pawn shop. None of the other shops come close to this one. You can tell the owner takes pride in his establishment. Wow! This place is amazing, I have known the manager for years now. I love the new remodel looks classy ! Super upscale shop! This area needs more shops like this one! Recommend if your in the area check them out! The staff is cool, love this spot.